Tang Soo Do: Kwan Jang Nim Hwang Kee founded the Moo Duk Kwan on November 9, 1945, first teaching an art called Hwa Soo Do. Grand Master Hwang Kee had also studied the traditional Korean martial art called Soo Bahk. Soo Bahk has the only bare hand and foot martial techniques that were handed down from the KoKu Ryo Dynasty (2000 years ago) to today. Many of the techniques and ideas that Kwan Jang Nim Hwang Kee incorporated in his training and teaching came from the Korean book called the Muye Dobo Tong Ji. He later refined this art, with some changes, and began teaching the art we know today as Tang Soo Do. The Moo Duk Kwan's first contact with Americans was with US Military personnel who served in Korea. The first American to earn a 1st Dan Black Belt in the Moo Duk Kwan was Master Dale Drouillard, Dan # 757. These servicemen then brought Moo Duk Kwan back to the United States. Many of them continued training and sponsored Korean Tang Soo Do Instructors to come to the United States. 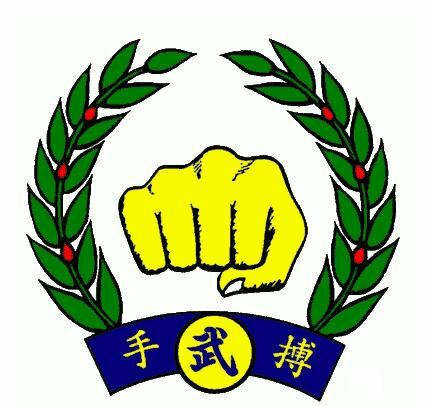 Michigan and Florida in particular both developed a large Tang Soo Do community that began in the 1960's and 70's and continues to this day. A.M.A.A. is proud to carry on this tradition. 1. Be loyal to one's country. The principles of Tang Soo Do were created to instruct students of martial arts in the way their life and their art should be approached. Do your best to follow these principles. 1. Every member should always seek truth and practice it. 2. Promote the highest moral character through the training of Tang Soo Do. 3. Respect and obey your parents, teachers, and seniors. 4. Love your country and contribute to your community. 5. Develop both great confidence and humility, and practice both inside and outside of class. 6. Do your best to promote intellectuality. 7. Do not hesitate to sacrifice yourself for justice. 8. Do your utmost to develop Tang Soo Do as the most popular martial art in the world. 9. Develop your endurance, be calm, and humble in mind. 10. Always remember that the ultimate purpose of Tang Soo Do is to promote both physical and mental health. Fist: Gold color, the fist stands for justice, for honor, and unity bearing strength. Leaves: 14 green leaves on each side of the wreath represent the 14 provinces of Korea, the leaves also represent peace. Berries: Red berries represent the six major continents, a fruitful result of training, and the color comes from the Yang. Scroll: Blue scroll at the bottom stands for knowledge. In the Grand Master's words, "the martial artist should be a scholar". The blue comes from the Um. Left character: Soo- meaning "hand"
Right character: Bahk - meaning "strike"
Center character: Moo, meaning martial or military, although this is a composite of "stop" and "sword" or "fighting". This symbol represents that the central purpose of Soo Bahk Do is to stop fighting between people and to resolve conflict within ourselves.